Fifty ladies from the Borders and further afield met for lunch on Friday 7 December to raise funds to support the work of the charity PATCH (Palliation and the Caring Hospital). The presentation of the Dragonfly donation. From the left: Christine Salem, Isla Munro (Dragonfly Agency), Dr Pamela Levack, Dr Gordon Paterson, Vicky Grant (Dragonfly Agency), Muriel Scotchmere, Helen Legge. The event, at the Hoebridge Inn, Gattonside, was a great success and raised £2,330. 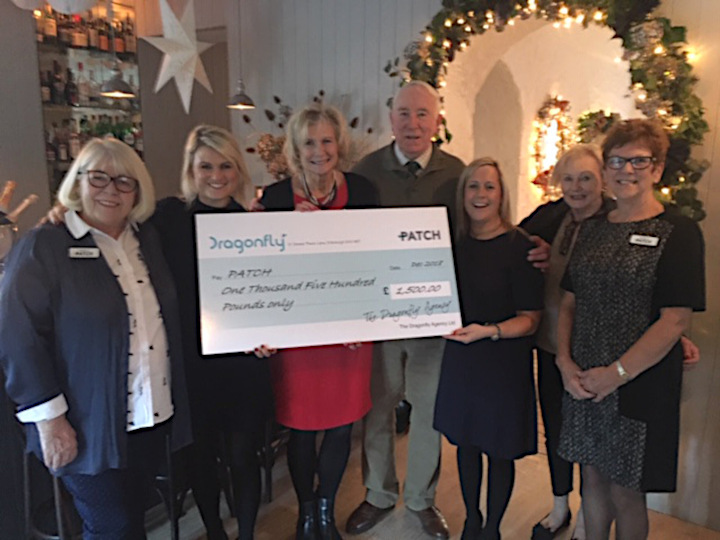 This sum included a very generous donation of £1,500 from the Dragonfly Agency, Edinburgh who, for the third year in succession have met all the costs of production of the PATCH Christmas card. PATCH is supporting a range of projects across Scotland including established partnership working with colleagues in NHS Borders to ensure quality palliative and end of life care. We have been very impressed by the generous support that we have received from so many kind people in the Borders who attended the lunch. 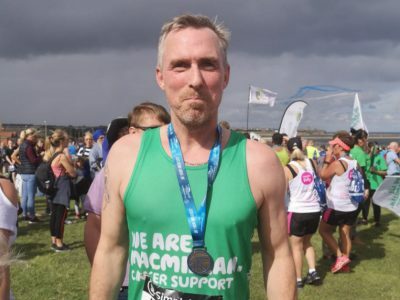 We are extremely grateful to the enthusiastic Friends of PATCH who have organised this and other events that help to raise awareness of our work and the essential funding that makes it all possible. 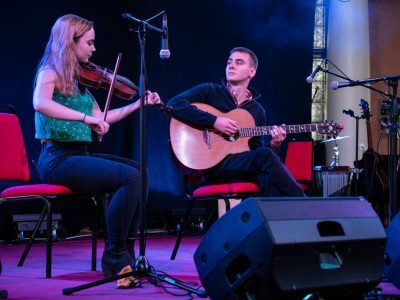 £3300 was raised in a concert attended by more than 100 supporters in the Great Hall at Lord Lothian’s Monteviot House home, near Ancrum. Another incredible fundraising effort from Team Rautomead, who have worked so hard at fundraising for PATCH over the years. 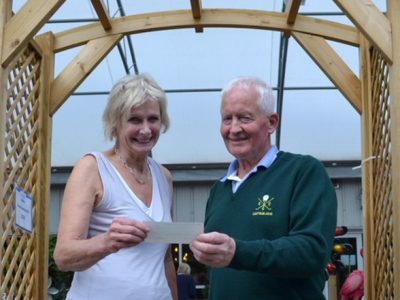 £1000 was raised at a golf competition held in aid of PATCH.